As a leader in the industry for more than 29 years, Transfinder has worked and continues to work in tandem with school districts across the country to continually develop and upgrade our software products and services. Our goal: to help our customers meet new demands on their districts today and for the future. Quality customer service and support from knowledgeable technical professionals. This ensures that you are applying best practices in managing your transportation and communication operations. 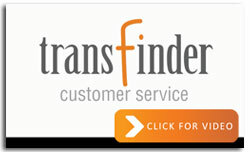 At the same time, Transfinder’s technical training and support teams are available on a daily on-demand basis to respond to your questions so that you can continually provide value-added benefits to your district. ©2019 Transfinder. All rights reserved. Website Design by: Spiral Design Studio, LLC.